The last time we saw James Bond, he and Ernst Stavro Blofeld were engrossed in a duel on a snowy mountaintop, where colourful characters such as Irma Bunt took supporting roles. 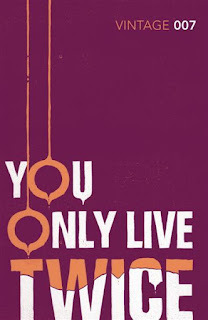 But after the events of that book, James Bond becomes depressed and loses his will to live. You Only Live Twice opens with M and Sir James Molony discussing 007’s future with the Secret Service after Bond has badly bungled his last two missions. 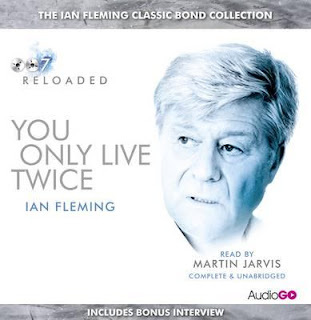 M wants to fire Bond, but Sir James convinces him to give Bond one last chance by giving him an impossible mission, though not necessarily a lethal one. Perhaps being thrown back into the field will reinvigorate Bond. And so M summons Bond to his office… only to discover Bond isn’t there. When Bond finally does show up, M decides to ignore the whole episode and orders Bond to go to Japan. His mission is to make contact with Tiger Tanaka, head of the Japanese Secret Service, and to obtain important information from him. 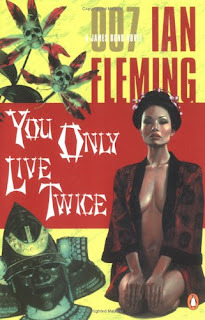 Over the course of his stay in Japan, Bond slowly learns more and more about Japanese customs, and then he learns about the sinister “Castle of Death” run by the mysterious Swiss botanist, Dr. Guntram Shatterhand. I will leave it to readers to discover what the “Castle of Death” is. I don’t think it’s much of a surprise, though, that Dr. Guntram Shatterhand turns out to be Blofeld in yet another disguise. After all, this is the final installment in the Blofeld trilogy, and as soon as you hear this name you just know it’s gotta be Blofeld, especially when you’re told the doctor is accompanied by an exceedingly ugly wife. This is the least surprising twist in the Bond series since Moonraker. 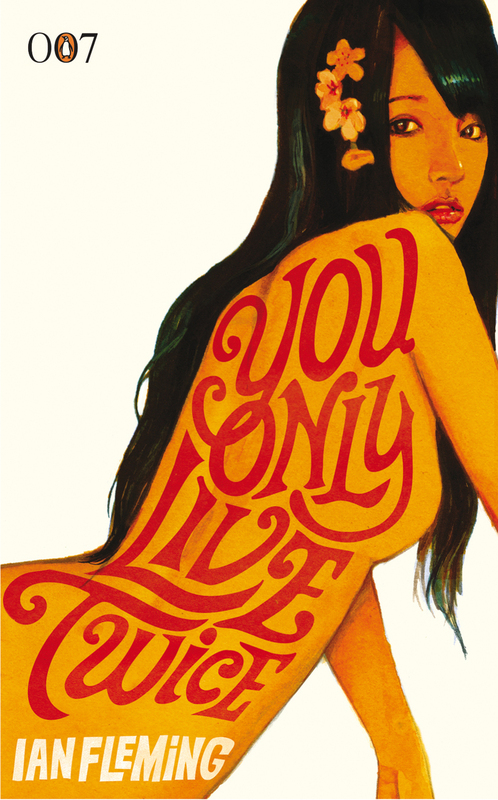 I have a bit of a strange history with You Only Live Twice. 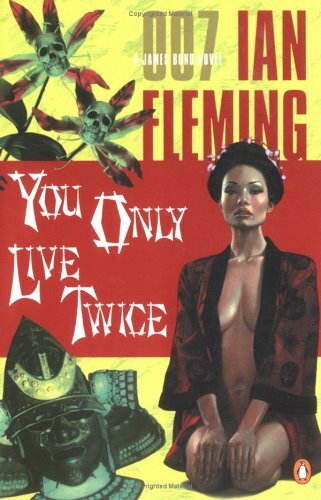 I intended to read it years ago when I initially read Ian Fleming’s Bond novels. But my library lost its copy and I never got around to it. This is why I started this whole “007 Reloaded” shenanigan, in order to read this final novel and to give Bond a chance to go out with all his guns blazing. But when I got to the end of the book, I had the strangest feeling of déja vu. 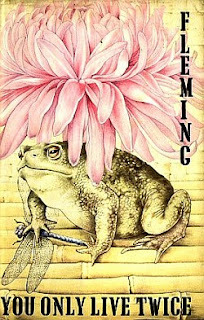 I know I haven’t read this book before, but I swear I felt like I’d read Chapter 22, especially the scene where the toad’s sweat is collected into a phial, which I anticipated almost line-for-line. I haven’t seen this particular Bond film, so that can’t be it, even if it manages to stay close to the source material (which I doubt). So how on earth could I have read this chapter before? It’s a sheer mystery, and I honestly have no idea how to explain it. But back to the book as a whole. Frankly, I didn’t like it as much as I hoped I would. Oh, don’t get me wrong, it’s a terrific read and plenty of fun for the whole family. I like the idea of the “Castle of Death”. I like how Fleming gives you an English perspective of Japan in the 1960s. I like the Bond girl and how Bond tops everything off with a major explosion. I really like the ending, which is supremely ironic and foreshadows the opening of the next Bond novel. But there’s one thing I didn’t like, and that rather brought down the book for me. What could that one thing possibly be? What on earth happened to him? Even Bond notes that the man doesn’t seem quite like himself. He is more megalomaniacal than ever before, but what on earth for??? The “Castle of Death” itself isn’t part of some larger plan engineered by the Russians to cripple Western society or anything of the sort. It’s just Blofeld’s hobby during his retirement, and it’s a pretty lame hobby to have. As if that weren’t enough, Blofeld draws so much attention to himself that it’s a miracle he wasn’t noticed earlier. He walks around his garden in a suit of armour from medieval Japan and behaves in other strange ways. Frankly, Blofeld has just gone Cuckoo-for-Cocoa-Puffs, and as a result the final duel between him and Bond just doesn’t have the emotional resonance it should have. For crying out loud, Blofeld—oops, nearly spoiled something major there. This should be a major moment of victory for Bond! Instead, it feels like a pretty typical end to a crackpot villain who never had much of a shot of beating Bond in the first place. In that respect he’s a perfect companion to the silly Blofeld we suffered through in Diamonds are Forever. So although I recommend You Only Live Twice to Bond fans, keep in mind that this is a really underwhelming finale to the Blofeld trilogy. It doesn’t deliver on the promises that its predecessor set up, and although it’s got great moments Blofeld almost single-handedly ruins the book with his insanities… which never get more interesting than the premise. It’s a terrific premise, but I was waiting for the “Castle of Death” to become part of a larger plot, which never happened. Are you a Bond fan? If so, then this book is for your eyes only. (Pardon the pun.) However, it will please a lot more people than The Spy Who Loved Me.